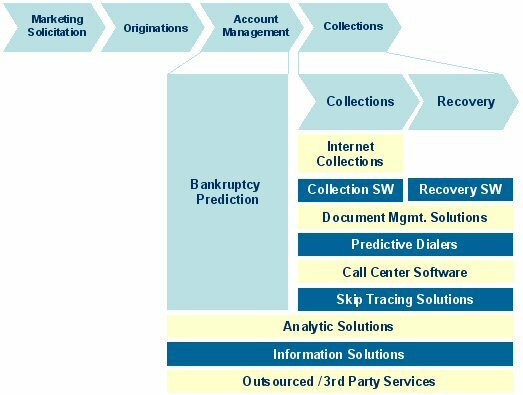 This individual Report Account Life Cycle Solutions: Scoring Solutions in Collections and Recovery is available for purchase. This Report is available to members of Mercator Advisory Group’s Credit Advisory Service. Please be advised that this Report is normally part of a research and advisory service that provides ongoing support throughout the year. As such, this Report contains significant depth of content that is selected for its strategic importance to our members. (For a description of these services, see our Advisory Services section). The collections stage is the least automated stage in the customer life cycle. The operations are labor intensive and require skilled collectors. In this type of operational environment, technologies that improve strategy design as well as the efficiency and effectiveness of the collections personnel can add significant value. "Becoming a leader in today's competitive credit card markets often requires superior performance at every stage of the account life cycle and the collections stage is no exception, " comments Evren Bayri, a Director in Mercator Advisory Group's Credit Advisory Service. "The use of analytic technologies at the collections stage can improve the effectiveness of collection and recovery efforts by adding more insight into the process." This report looks at scoring vendors and their solutions. It provides an overview of the collections process, a discussion on collections as a source of competitive advantage, an overview of collections solutions, and a discussion on analytic solutions available from selected vendors including: Fair Isaac, Experian, Intelligent Results, Predictive Metrics and Trans Union. The report contains 27 pages and 5 Exhibits.